Virtual Tour ebrochure BEAUTIFUL 10+++! Open Floor Plan with Refinished Hardwood Floors Throughout. Two Story Family Room with Gorgeous Floor to Ceiling Stone Fireplace. Huge Gourmet Kitchen w/White Cabinets, New Stainless Appliances (2018) & Huge Island Breakfast Bar. First Floor Mud / Laundry Room with Custom Built Lockers. First Floor Bedroom & Full Bathroom. Formal Living & Dining Rooms. 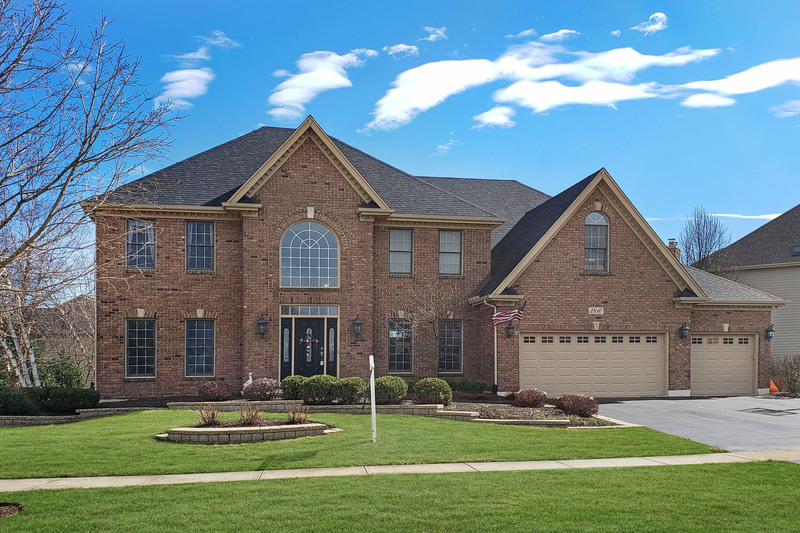 Stunning Master Suite with Soaring Vaulted Ceilings; Luxury Master Bathroom complete with Dual Sinks, Custom Walk In Shower & Deep Soaker Tub; Large Walk In Closet; & Office / Exercise Room. 2nd Suite Bedroom with Private Bath. Beds 3 & 4 with Jack & Jill Bathroom. Finished English Basement with 6th Bedroom, Full Bathroom, Rec Area, Media Area & Game Area. Private Professionally Landscaped Backyard with Massive Deck w/Sunbrella Awning, Paver Patio, Sprinklers. New Roof, Gutters, Downspouts, Garage Doors (2017), New Water Heater (2017), New Water Softener (2018), New Furnace (2015). Near Restaurants & Stores. Randall Road to McKee, West to Wilson, South to Weaver Lane. I was searching on Blue Fence and found this listing. Please send me more information about 2810 Weaver Lane , Batavia, Illinois 60510. Thank you.